Why does parkng supply matter? “Si tu id aeficas, ei venient” - “Build it and they will come” – the ancient Latin phrase is appropriate for off street parking in multiunit buildings. The supply of parking stalls available in a building is very influential on parking utilization. Just as the phrase suggests, the more stalls available the more stalls will be used. The data collected at the surveyed sites included the number of parking stalls supplied to building residents. Analysis of this data shows that the number of stalls used by parked cars is strongly determined by the supply. However it is not a one-to-one relationship. Thus the calculator estimates the number of parked cars given the supply (and other variables), and if you change the supply the estimated usage will also change. For example, if the user enters 210 stalls supplied, the calculator (given the location and the building's makeup) estimates the usage at 185 parked cars. If the user then changes that supply to 185, the calculator may return 173 stalls will be used; change the supply to 173 and it returns 167, and on and on, until the two match. In this example when the supply is set at 158 the utilization is 158. 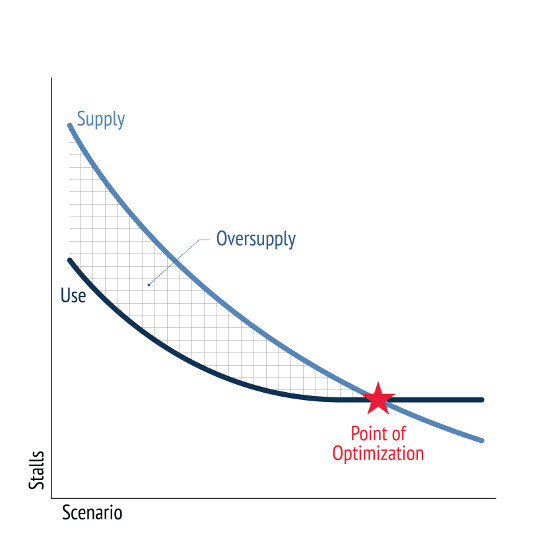 This process has been streamlined with the supply optimizer tool, which helps users find the “supply sweet spot,” or point of optimization, where the supply is just enough so that the calculator estimates that all the available stalls will be used. The following figure illustrates this. Why does parking price matter? The cost of parking to the residents of a given building is a factor in parking utilization; the higher the price the lower the utilization. Unlike supply, the price relationship is not self-reflexive. 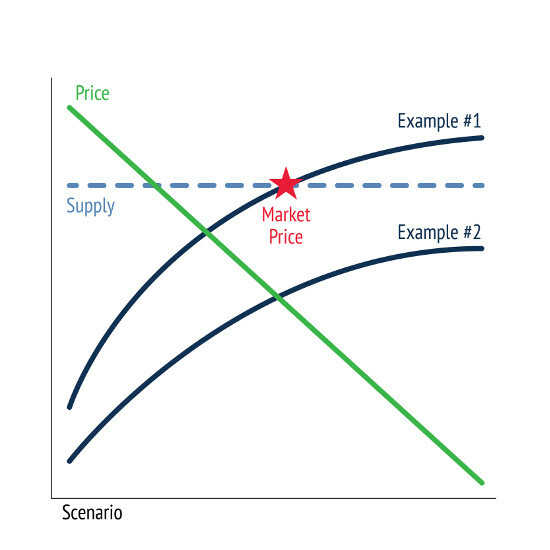 Once the user sets the price for a given building and location, the estimated utilization will be set, if the user then changes that price the utilization estimate will change. In general a lower price results in larger utilization. However, there is a point where lowering the price will still not result in enough utilization to fill all of the supplied stalls, or it may result in an over demand for parking - either way the situation is not optimal. In another location (Example #2) with the same supply and price the utilization is estimated at 153 parked cars; lowering the price to $100 per month results in 162 parked cars, and so on, until the price is eliminated altogether, then the utilization in this location is estimated at 176 - quite a bit less than the supply – showing that the underlying demand for parking is not enough to fill those 210 stalls, even if parking is free! In this case there is no “Market Price,” since the supply is simply too large. The illustration below is an infographic of these two examples. How to match supply and utilization? 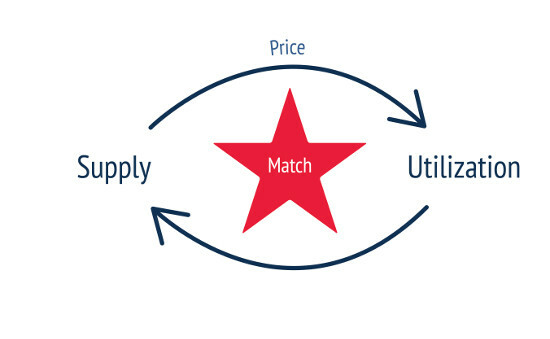 There is a circular relationship between parking supply, price and utilization. Therefore it is a little tricky to get the right combination of inputs in any situation that will result in efficient use of building space and/or constructions cost. The following illustration shows this; if there is a desire to match parking supply and utilization the optimizing tools can assist with finding this optimal combination. The “Optimize parking for Supply or Market Price” under the Building & Parking Specifications tab, helps the user to find a balance of parking price and supply, for most locations. See How to Use the Calculator for more information.